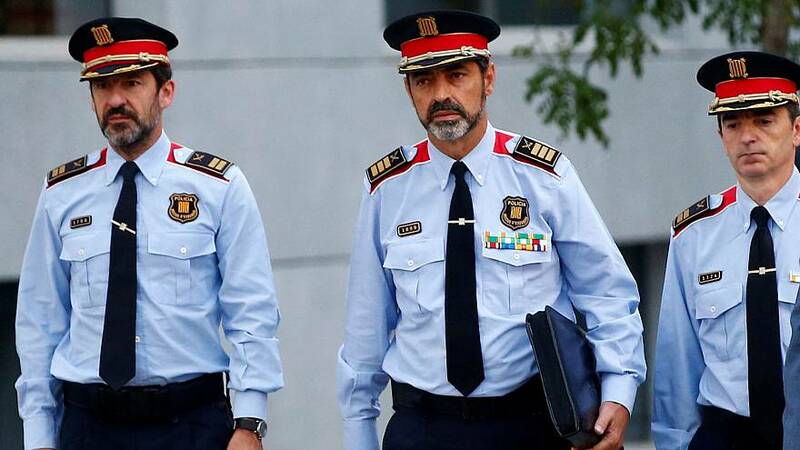 Senior officers from Catalonia’s regional police force, including chief Josep-Lluis Trapero, have appeared in Spain’s National Court in Madrid. They are being investigated for sedition following demonstrations in Barcelona in which members of the Guardia Civil force were imprisoned in their building and their cars damaged. Guardia Civil agents have been accused by some of using undue violence to disrupt the Catalan independence referendum. These acts which carry a potential sentence of 15 years in prison. The court has the power to place all the suspects in provisional custody. Also under investigation are Jordi Sanchez, head of the Catalan National Assembly (ANC), and Jordi Cuixart, head of Omnium Cultural. These separatist leaders claim to have won 90% of the vote in the recent referendum with a turnout of 42.3%, and are said to be considering a unilateral declaration of independence. The Spanish government does not recognize the vote and the courts have declared it to be unconstitutional.